The American Hearth Renegade Direct Vent Fireplace – 36” features 31.75″ W x 28.375″ H ceramic glass front which gives you an optimal viewing area and reflects more heat into your home. 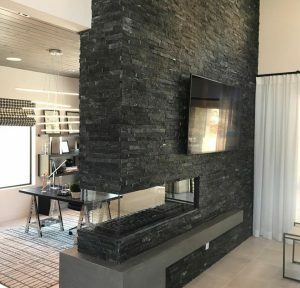 This sleek fireplace is capable of producing up to 40,000 BTUs which will provide you and your family with consistent warmth on cool evenings. 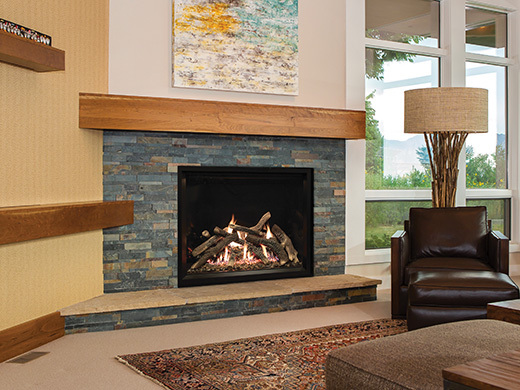 This fireplace comes complete with a Multi-Function remote that can control the front or rear burners, flame height, accent lighting, and wireless on/off function. 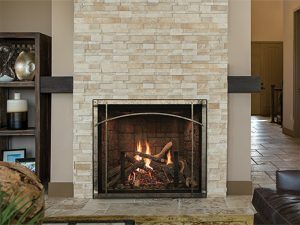 You will be able to customize the interior of your fireplace by selecting a Cottage Brick, Traditional Stone, or Black Porcelain liners. The realistic looking 14 piece log set included with the American Hearth Renegade Direct Vent Fireplace – 36” will give your fires an authentic look. The safety barrier front will give you piece of mind. You can give your unit a truly unique style by adding a gorgeous decorative front. 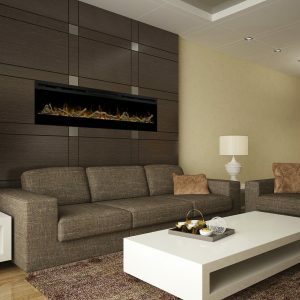 Give your fires a more traditional feel by arranging them on the matte black andirons. You can maximize the heat produced from your unit by adding the optional blower. 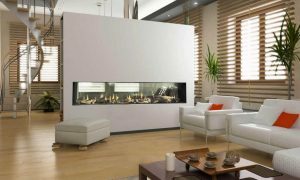 This one of a kind fireplace features Tru-Flame technology which gives you larger flames with minimum emissions.